Welcome to Heartdrops and Herbs! We offer the original Heartdrops, formulated by master herbalist, Jim Strauss. Strauss' Heartdrops are well known and renowned for their amazing ability to naturally help you obtain a better, stronger, healthier heart. Unadulterated, free of chemicals, and 100% natural, Strauss Heartdrops are side-effect free, and contain no common allergens. The herbs in Strauss Heartdrops have been traditionally used to clear clogged arteries, lower cholesterol, lower blood pressure, improve blood circulation, prevent strokes, relax an enlarged heart, kill chest pain, stabilize irregular heart beat rate, wipe out angina pain, and more, for hundreds of years! Click here to read more about the one-and-only Strauss Heartdrops. Skeptical? Click here to read what people like you had to say about Heartdrops! We are so confident that you will be satisfied with our Heartdrops and other herbal supplements, that we will give you your money back if you believe that you didn't receive any health benefits from one of our products. Click here to learn more about our guarantee. 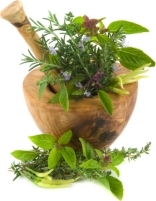 All of our Strauss herbal products are unadulterated, free of chemicals, 100% natural, and side-effect free. We carry a variety of other herbal supplements to naturally aid in promoting good health for your cardiovascular system, bones, kidneys, thyroid, joints, prostate, bladder, and more. 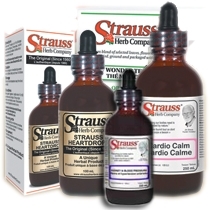 Click here to browse all of our Strauss herbal products.